We strive for excellence in learning in every area of the curriculum from English and Mathematics, to Sport and Music, as well as through a variety of extra-curricular activities. Providing pupils with a wide variety of creative, high quality, real life experiences, enriches both our curriculum and children’s learning. We have designed our curriculum around the Learning Challenge Curriculum approach, which is based on securing greater learner involvement in their work that requires deep thinking and encourages independent enquiry. In designing our curriculum, teachers and learners use a prime learning challenge, expressed as a question, as the starting point. This approach allows for enquiry based learning which promotes curiosity, embeds the application of basic skills across the curriculum, and allows writing to be meaningfully embedded. At Clifton Green Primary, we endeavour to provide a creative curriculum that has sufficient breadth, balance and relevance for each child and excites, challenges and motivates all learners. As well as providing pupils with opportunities to explore and understand what it means to celebrate British Values. For more information on our curriculum please talk to your child's class teacher or our Deputy Headteacher, Nicola Jones. The Foundation Stage Curriculum is split into seven areas of learning. Every state-funded school must offer a curriculum for Year 1 to 6 which is balanced and broadly based and which promotes the spiritual, moral, cultural, mental and physical development of pupils at the school and of society; and prepares pupils at the school for the opportunities, responsibilities and experiences of later life. All schools are also required to teach Religious Education. Your child’s teacher will be able to answer any questions you may have about the tests and teacher assessment judgements. Feel free to come an ask us any questions. In the Early Years Foundation Stage and Key Stage 1 we use Letters & Sounds, Phonics Bug, and Rapid Phonics to teach phonics. We use BugClub for our reading scheme, which you can also use online at home. Alongside this we run the Hi5 reading initiative to promote daily reading for enjoyment at home. At Clifton Green we use the No Nonsense spelling and grammar scheme of work to support out spelling and grammar teaching. Please see below Clifton Green Primary's whole school calculation guidelines for progression of Maths written calculation skills. PSHCE is a central thread that runs throughout our curriculum. It is specificity taught using the Jigsaw scheme of work, with all classes having a PSHCE lessons on Mondays. These help us reflect on fundamental British values such as respect, tolerance, democracy and freedom, whilst also considering a variety of different values, issues, experiences and ideas. We value the diversity of all our pupils and their families, so throughout the year undertake a variety of events and lessons to celebrate this. We have found this approach to be mutually enriching, as it enables us to focus and reflect on tolerance and respect for each other, as well as considering our individual freedoms and the role of democracy in our country. This helps us celebrate the differences in our community and the wider world. 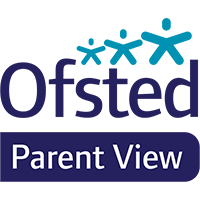 We encourage all parents and carers to be involved in their child’s learning at home. This includes learning spellings and encouraging children to read five times a week as part of our Hi5 Reading. However it can also include activities such as baking, helping with shopping, writing lists and counting money, visiting museums or going swimming.